FAA and DOT release rules for small unmanned aircraft systems. We’ve Needed Commercial Drone Rules for Years. The FAA ​Just​ Released a First Step. 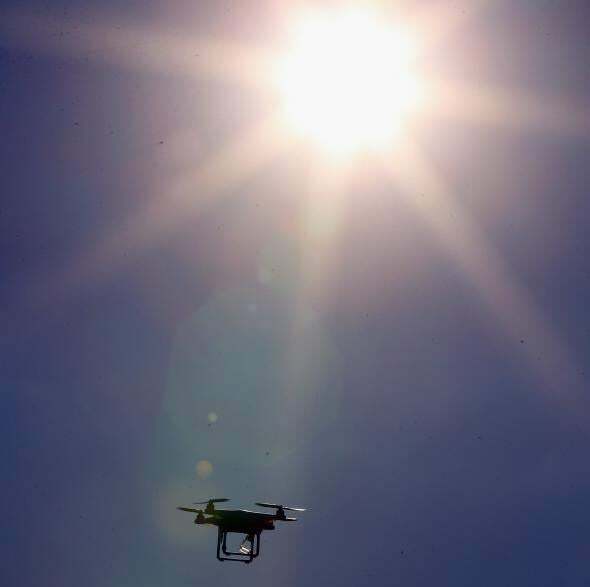 Now commercial drones can fly off into the sunset. On Tuesday, the Federal Aviation Administration finally announced rules for small drones (under 55 pounds) flown by commercial operators. “Part 107” allows commercial drone use under 400 feet without a pilot’s license. Instead, operators will take a test and get certified to fly particular types of drones, which should streamline the process significantly. The new rules will spur drone proliferation and innovation. The FAA says they could stimulate $82 billion in industry and create upward of 100,000 jobs within 10 years. Indeed, the new rules do not allow for one major commercial use: drone delivery. Operators can only fly drones during daylight, can’t fly them over bystanders, and must keep their drones in their line of site at all times. Amazon Prime Air will have to wait. But privacy advocates still feel that their concerns are going unacknowledged. Camera-equipped drones can fly over or hover near buildings, photograph things without people’s consent, or even stalk people. As the Intercept points out, the FAA doesn’t address privacy concerns in detail. “The FAA has repeatedly acknowledged the privacy risks of drone deployment, but has so far refused to adopt any privacy safeguards,” the Electronic Privacy Information Center wrote in a statement. While the FAA was figuring out what it wanted to do, time was passing and the drumbeat of capitalism pulsed on. People found ways around the FAA imposed limitations and companies like Amazon got frustrated. Now we’re finally getting regulation, when the rules could have been on their second or third revision. At least the manufacturers are excited. DJI spokesman Adam Lisberg told the Verge, “This is a major development for the future of drones in America.” They better be happy—they’re about to sell a lot of drones.